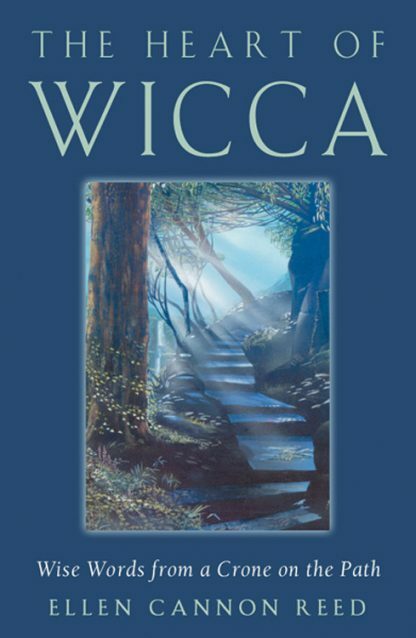 The Heart of Wicca opens the invisible doorways that lead toward a deeper understanding of the mystery-filled world of Wiccan beliefs and practice. It takes us far beyond the currently popularized images and surface understanding into a world that few are privileged to enter. Ellen Cannon Reed guides us past misunderstanding and false conceptions into the lifestyle, mind set, and religious dedication to spiritual growth that lie at the heart of this life-transforming practice. She talks about life in a coven, the magical family of brothers and sisters who love and care for one another, who work together magically, circle together, study together, celebrate and laugh together, and lift each other up when one falls. From the wisdom developed through many years of Wiccan practice, she talks about the nature and complexity of symbols, and explains how their layered, deeper meanings are vehicles of communication that bypass ordinary conscious thought and go directly to our deep or unconscious mind. She says that we can develop a personal relationship with the Deities, for that is the very soul of Wicca. Learning to honor the ancient Gods and Goddesses through study, meditation and other forms of magical or ritual dedication, opens up direct communication which leads to ever-increasing levels of healing and guidance. She discusses about practical issues--finding a teacher, coven leadership and tradition, training, rituals, the various types of initiation, the ethics of spell casting, and the importance of the Wheel of the Year (the eight Sabbats). The Heart of Wicca is like having a personal conversation with a wise crone. Ellen Cannon Reed has been a very active Wicca teacher and author for many years. Some of her previous books include The Witches Qabala, Invocation of the Gods, and she is the popular creator of The Witches Tarot. She lives in Sylmar, California.